Added an introduction wizard panel to walk you through uploading layers, creating web maps and sharing them. Hide maps that have been shared with you. Added a measuring tool to web maps. Fixed an attribute error with KML exports. Included min/max zoom levels for layer visibility. Restrict our support team from accessing your account at anytime. Redesigned the onscreen Admin help menus. Attribute tables can now be accessed in read-only web maps. Ability to edit vector layers in the Layer Editor GUI as well as add/delete attribute columns. Added auto-save for web map workspaces at 30-second intervals. We also released more ‘software’ bugs back into nature than we can count! 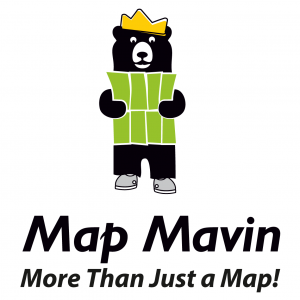 This entry was posted in The Geospatial Times and tagged Map Mavin, Map Mavin Features, Map Mavin News, The Geospatial Times by Apollo Mapping. Bookmark the permalink.